Explanation: What created this huge space bubble? Blown by the wind from a star, this tantalizing, ghostly apparition is cataloged as NGC 7635, but known simply as The Bubble Nebula. 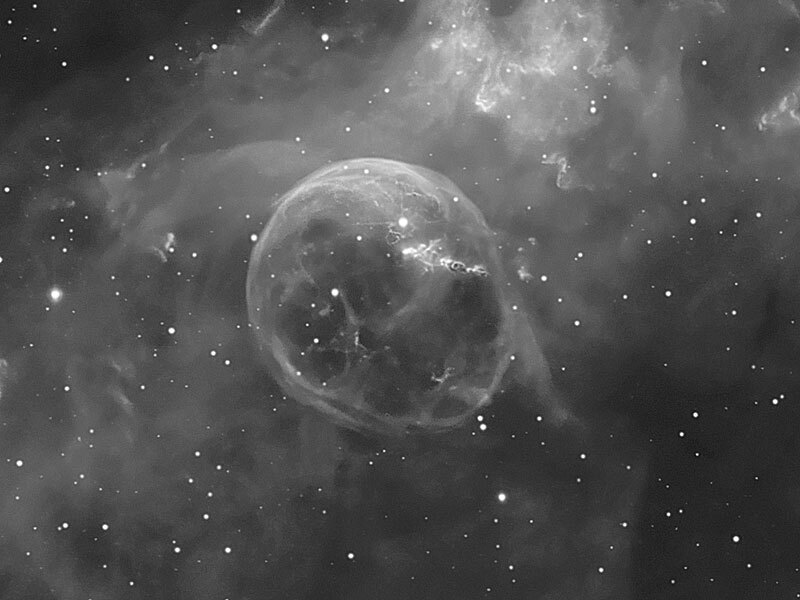 Astronomer Eric Mouquet's striking view utilizes a long exposure with hydrogen alpha light to reveal the intricate details of this cosmic bubble and its environment. Although it looks delicate, the 10 light-year diameter bubble offers evidence of violent processes at work. Seen here above and right of the Bubble's center is a bright hot star embedded in reflecting dust. A fierce stellar wind and intense radiation from the star, which likely has a mass 10 to 20 times that of the Sun, has blasted out the structure of glowing gas against denser material in a surrounding molecular cloud. 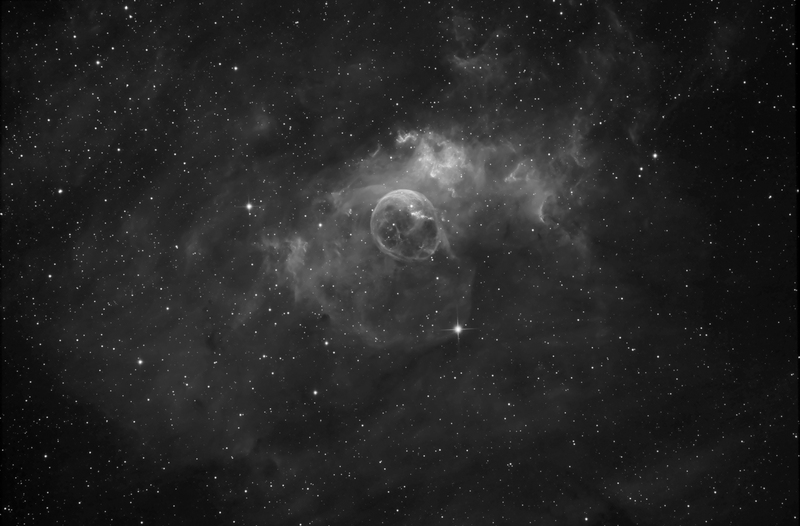 The intriguing Bubble Nebula lies a mere 11,000 light-years away toward the boastful constellation Cassiopeia.